Renew My Car has launched in South Africa, creating new business opportunities in the mobile cosmetic car repair industry for budding entrepreneurs regardless of gender or education. 3M, a global technology company, in partnership with Australian company Renew My Car International (Pty) Ltd and Kansai Plascon,is responsible for launching this innovative concept in South Africa. “We are really excited about being a partner in this initiative. The Renew My Car concept not only creates employment, but encourages the spirit of entrepreneurship and enables people to become self-employed, with the sky being the limit in terms of individual success,” says Stuart Parmenter, Technical Manager Automotive, 3M Automotive Aftermarkets Division. Entrepreneurs and investors can now purchase a licence to own their own Renew My Car business for a once-off fee of just under R300 000. In return, they receive comprehensive automotive technical repair and product training from 3M and Kansai Plascon, with a fully inclusive product starter kit as well as the new Citroen Berlingo vehicle. The Berlingo is serving Renew My Car Technicians in Brisbane, Australia, well and has earned a reputation foreconomy and reliability worldwide. South Africantechnicians will benefit from industry-related business and marketing advice from Renew My Car International and gain access to ongoing technical training and support from both 3M and Kansai Plascon. In this way, these entrepreneurs will be in a position to open and run their own businesses, either as full-time employment for themselves, or as a side-line investment opportunity. As a licensee they practice their trade under the umbrella licence held by Renew My Car International in Australia. Training, which takes place at 3M’s training facilities in Woodmead,Johannesburg, and Kansai Plascon’s facilities in Alberton North, comprises an intensive full-time five-week course followed by 11 months of part-time training whilst the business operator already works and earns from his own business.After this, participants graduate as Mobile Cosmetic Repair Technicians. All products used in the body repair work are 3M products and include: polishers, abrasives, fillers and more. Kansai Plascon’s MasterMix TouchUp Technology is used for all paint repairs/touch ups and carries warrantiesconsistent with Standard Industry Repair Practice. “Renew My Car International combined the Australian Automotive Body RepairTechnology Curriculum (AUR20912) with 3M’s standard operating procedures.All participants who complete the training–and successfully complete their assignments –will be issued with the equivalent ofa Certificate Level II Qualification in Automotive Body Repair Technology, an Australian qualification soon to be recognised in South Africa,” adds Parmenter. Mobile Cosmetic Repair Operators are trained to perform a variety of cosmetic repairs to motor vehicles. This includes plastic bumper repairs, fenders, hub caps and wheel trims, windscreen wipers, trim items, headlight restoration and much more. Vehicle interiors, including fabric stain removal and protection, airconditioning disinfectant and odour removal are also covered. In addition, tar and overspray removal comes with the territory, as does engine bay and valetcleaning. Already very popular is the permanent scratch removal process where the 3M products, in the hands oftrained professionals, come into their own right, delivering shiny new and scratch free surfaces.In short, all the attention an older car can ever ask forto look brand new, increasing its value! Unlike conventional call out businesses, there is no call out fee when the Renew My Car Mobile Cosmetic Repair Operators are called out to a customer’s premises. Instead, customers are encouraged totake digital photographs of the damage and upload these to the company’s website www.renewmycar.co.za. These leads are then passed along to the nearest Mobile Technicianwhoassesses the damage andreplies to the vehicle owner with a quote, provided that the required repair work falls within the repair capabilities. “Our research shows that this repair offering is approximately 40% lower than conventional panel beaters. Add to this the fact that the average repair time is less than four hours and done at a customer-preferred location, avoiding security and accident risks," says Parmenter. 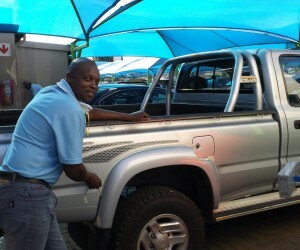 “Quite often vehicle owners will find that the on-site repair costs are below that of the insurance excess charge, enabling owners to preserve their no-claim bonus.” Add to this the Industry Standard Warranty on all repairs, and South African motorists can look forward to a quick, cost-effective and quality solution to maintaining their car’s appearance and resale value. 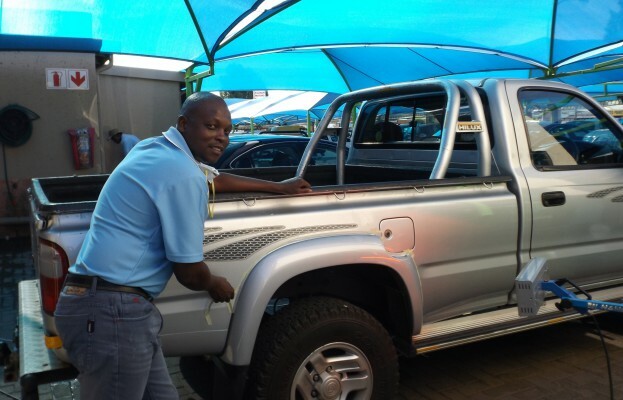 Aside from assisting private vehicle owners with the repair of light accident damage, there are also opportunities to build relationships with car hire and car service companies, companies running vehicle fleets and used car dealerships who require regular touch ups on their vehicles. A limitless market indeed, considering that the national fleet in South Africa is already in excess of 10 million vehicles, and growing. “This is a great venture for 3M to be a part of as we are not only supplying some of the latest products available on the market, but we are giving these new business owners the skills which enable them to run a successful business, with the potential of growing from often only aone man operation to a medium-sized enterprise,” concludes Parmenter. Renew My Car has acquired office space in Alberton, Gauteng, where all enquiries, administration and marketing support is conducted.